Today I'm delighted to welcome Stacy Eaton just before the launch of her new book Six Days of Memories. Marie – Thank you so much for having me here today! It’s been a whirlwind this month with my birthday, the release of Distorted Loyalty and now Six Days of Memories coming out in a few days! I’m so glad I could be here to entertain your readers for the day! Before we tell you more about Six Days of Memories- lets have a good old fashioned Q&A session. You seem to be writing one story after another – Do you have lots of ideas for books or do they come to you as you finish one and where do they come from? Funny thing is I have all these ideas, but not enough time to work on them all. Right now, I believe I have 3 plot lines that I have only written general notes on. I have 6 other books that I currently have started. What I write and when I write it depends on the character voices and who feels like coming out to play. Three days after I published Second Shield last November, the plotline for Distorted Loyalty came to me. It had a very intense need to write – and the story was written in 28 days. The same thing happened with Six Days of Memories. No sooner did I finish writing Distorted Loyalty, the plot started twisting. When I finished Six Days, a new plot line started boiling and now I am working on a book called One Every Thirty-Six. Does anything you plan ever change as you’re writing it? Holy cow! Yes! I can sit down with clear plans on where I want the scene to go, but no! The characters will have minds of their own and before I know it, I’m sitting back going where the heck did that even come from! I love that though. I have to give the characters some control of the story, or they would drive me crazy! Lol…. I have no idea. I came up with an idea and said, “Hey, I’m going to write a book.” My husband thought I was crazy – of course now that I am releasing books 7 and 8 he doesn’t think I’m crazy for writing, he just wonders what really goes on inside my mind. Do you use it to escape from a hard day at work? Absolutely! Being a detective full time is very stressful. I deal with so much drama every day, that sometimes the only way to deal with it is to lose myself in a story with my characters. There must be bits of you in your main female characters – do you want to tell us what they are or would that be telling? All of my female characters are pieces of me. In the My Blood Runs Blue books, Kristin doesn’t like for people to take her choices away, neither do I. 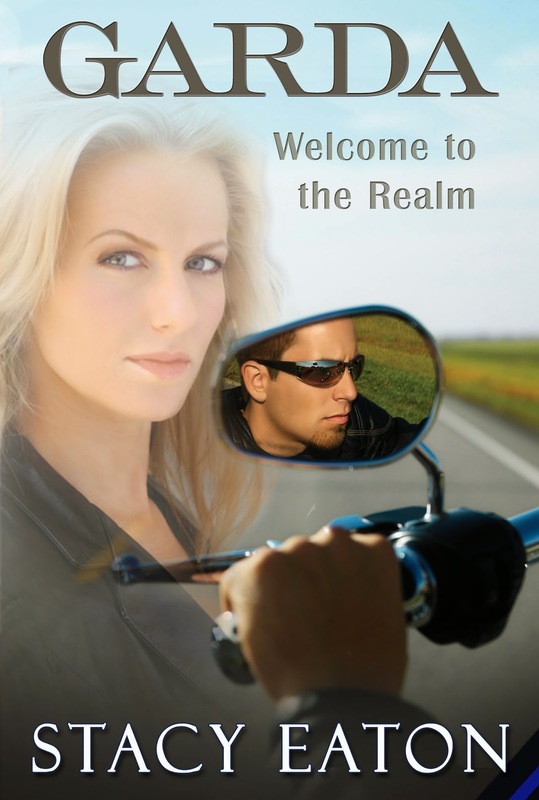 In Whether I’ll Live or Die, Nichole is a survivor, so am I. Corey deals with moral issues in Garda ~Welcome to the Realm, and as a police officer I deal with those issues quite often. Jacquelyn in Liveon~No Evil fought to keep her emotions out of her job and in Second Shield, Mack was intense and focused, yet still a woman with feelings and needs. I have to put pieces of me into my characters. I’m a very strong person and I want my characters to carry those same qualities. 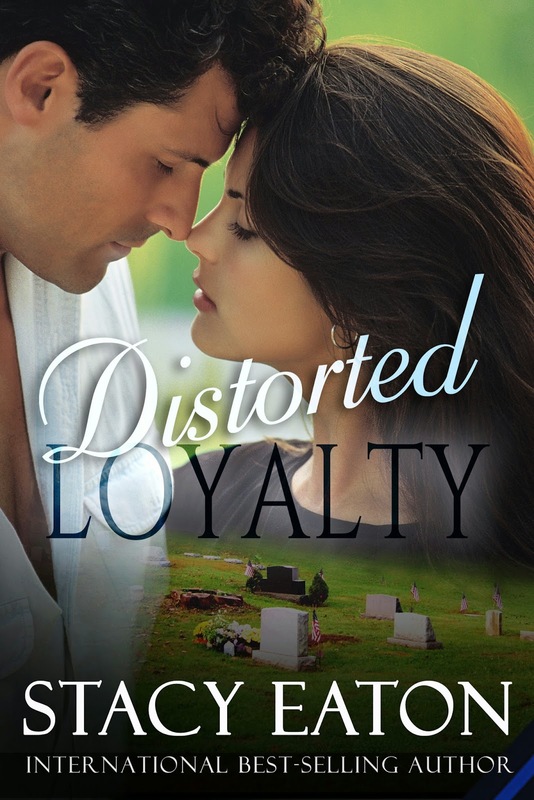 In Distorted Loyalty, which was published June 13th, Rachel has to deal with emotional issues while still focusing on her job and doing the best she can. And in Six Days of Memories, Natasha thinks outside the box on how to deal with the situations. You bend some aspects of law enforcement to fit into your stories. Do you ever wish anything you’ve altered was reality? Lol… I love this question! If you ever really knew what I deal with in my job as a police officer, you would know that life is really altered all the time. Sometime reality is stranger than fiction. Some of the scenes you write are very emotional – I’m thinking in particular of the funeral scene in Garda – Welcome to the Realm – Do you get upset writing them? Oh boy! In one word, Yes. There are times I have written an emotional scene and had to walk away when I was done. My heart would be thudding and I’d have tears on my face. What I love to hear is that when readers read those scenes, they get the same feelings. I love hearing that a reader was so touched they cried while reading the book or could so relate to the character that they were laughing along. In Liveon No Evil the story line has them turning Garda – Welcome to the Realm into a film. Is that something you would like? Have you actors already picked out for the roles? I would love to see one of my books turned into a movie. That would be the ultimate! I was half way through writing Liveon when I figured out I needed to give the movie a name that Ryan was filming. I chuckled when I added Garda to it. I thought it was funny and even gave myself a little cameo appearance! As for characters, no. I have never really thought about it. That’s not my job, my job is to write the story, someone else can put the faces to the characters. In Six Days of Memories you describe a car crash. Is that something you’ve had to deal with and, if so, did it make it hard to write that scene? I can’t tell you how many accidents I have handled in my fourteen years on the force. I have dealt with minor fender benders, more DUI accidents then I care to think about and even some serious fatal accidents. When police do our jobs, we tend to push our emotions to the side. Sometimes we seem cold when we deal with serious incidents, but that is just our defence mechanisms kicking in. The fact that I have investigated so many crashes just makes it easier to write about. Six Days of Memories has an interesting fact item in it; a tattoo. If you could have any tattoo, size, colour, pain notwithstanding, what would it be? I have two of them – and I plan to get more. Right now I have a few symbols on my ankle that stated “Gemini Justice” and I have a wolf on my back. I am thinking real hard about what I want to get now, but it will either be other words, a ribbon for domestic violence or another wolf. We shall see! Six Days of Memories is out on June 30th – tell us about it. First let me tell you that I loved writing this story! Natasha and Jay are awesome characters! And I fell in love with both of them! I hope readers do too! Here’s the blurb! Thank you so much for joining me here today Stacy - and good luck with Six Days of Memories. Thank you Marie for allowing me to visit and share so much about myself and my books! I look forward to hearing any comments from your readers! Keep an eye on her Amazon page and don't forget 30th June is the day you will be able to get Six Days of Memories. Thank you readers for taking the time to sit with me again. I hope you enjoyed hearing about Stacy and her books. I'm sure she'd love it if you left her a comment. Thank you so much for having me Marie!